We are a husband and wife team who live, love and dream photography. We have both been fascinated by photography since we were young – both owning cameras as children and nurturing our skills over the years until we finally reached a point in our lives where we wanted to give back to the community through a creative outlet. 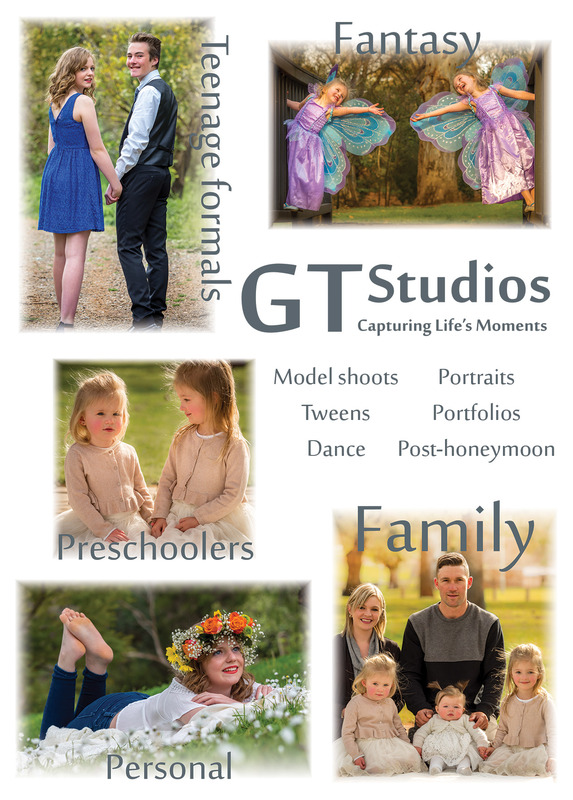 GT Studios was officially launched in January 2016 although it seems we have always been taking photos! We create photographic art featuring children, ‘tweens and teens (8 to 18 year olds’) that captures the essence of each young person showing their intrinsic nature and indispensable qualities. We see past the often complex and negative aspects of contemporary society and try to capture a more beautiful, simple and positive aspect that can be seen if you look in to their eyes. We offer indoor and outdoor photo experiences and they can be as formal or as casual as you wish. We are known for spending time with our client; before during and after their photo experience. It is really important for us to get to know you. We are known for creating and capturing a memory that will be transformed into fine art which will then be printed and framed in a style to suit your decor. Let us help you plan your next photo experience. Please feel free to contact us via Facebook PM/messaging, email or phone. All contact details are on our contact page.